Rock 'n' roll party man, Andrew W.K., has announced that this fall, he will bring his special brand of fun to Canterlot Gardens in Ohio, the premiere My Little Pony fan convention! Celebrating the national resurgence of My Little Pony popularity since the release of Hasbro’s “Friendship Is Magic” cartoon, W.K. will attempt to answer the question “What Would Pinkie Pie Do?” In this panel, W.K. who's beloved for such anthemic songs as “Party Hard” and “We Want Fun,” considers himself to be the living embodiment of the positive, party pony, Pinkie Pie, and will talk about how to make your work as fun as your party and your party as important as your work. W.K. has spoken in the past of his support for the growing “Brony” sub-culture, which is the unexpected male obsession with My Little Pony and “Friendship Is Magic”. This fan-base if comprised of men in their teens, up to 40 years of age. Lauren Faust, who helped to draw adults to Cartoon Network with her work on The Power Puff Girls and Fosters Home For Imaginary Friends, also helped to revamp the My Little Pony franchise with sophisticated writing and nuanced characters. The results are drawing animation fans of nontraditional ages, genders, and lifestyles. 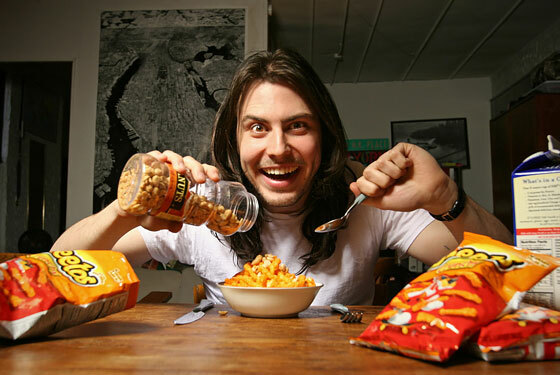 Andrew W.K.’s work also crosses the traditional boundaries of entertainment, including his unique style of music, TV, and more. Most recently, the party ambassador completed a world tour with his rock band in support of the 10th Anniversary of his landmark debut album, “I Get Wet.” The tour was Andrew's biggest and most successful to date, and saw W.K. and his six-piece group performing throughout the U.S., Europe and Australia, selling out venues across the globe. The record label, Century Media, will be releasing a special 10th Anniversary Special Deluxe Edition of the album this summer, which includes a second disc of never-before-heard live performances, recorded with a special technology aimed at recreating the sound inside Andrew's own ear-canals while he performs on stage. The release also contains extremely rare early versions of his "I Get Wet" songs, as well as alternate mixes and other previously unavailable material. 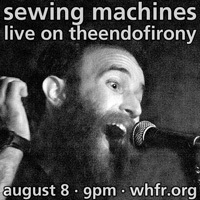 Due to Andrew's own perfectionism with mixing the final "ear-canal" recording technique, the release date has been pushed back from its original July date to August 14th, 2012.